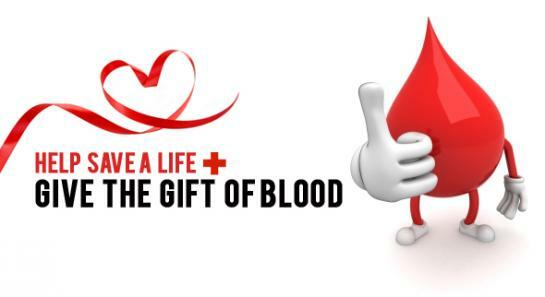 The first blood drive for the Hinds CC's Spring 2013 semester was scheduled for January 29, 30, and 31. You can donate in front of the cafeteria. Although I was unable to donate right off the bat because of class, I made sure I made the time for a donation. Today marked my eleventh pint (and tenth donation) since I first donated at the age of sixteen. I believe that allowing donors to begin at this age, even if it requires parental consent, is nothing less than helpful to those in need of blood transfusions because with a wider age group comes more blood supply. Students look forward to making their donations just for the shirt, some might do it just for the graduation cord (if offered in high school), or some might just do it because they need that last hour of community service for that passing grade. Out of this list, not a single thing has been an object of my motivation. Growing up, I have always been the person that is the first one to put their hand up to volunteer for something, so it came as no surprise to my parents when I came in for the first time and asked them to sign the consent form for me to donate blood. From that day forward, I have made it a mission to give whenever I am given the opportunity; however, I would later be provided with more motivation than I ever thought I would have. Most everyone has seen at least one commercial or advertisement about a patient in need of blood donations in order to pull in more donors, but you would never think that you would be involved in a similar situation. For over a year and a half, my uncle has been battling stage four throat, neck and tonsil cancer. Because my grandmother had battled breast cancer, I was used to the fact that he would be going through chemo and possibly radiation treatments, but the addition to his treatment would make a huge impact in my life. In addition to both chemo and radiation, he would constantly be forced to undergo blood transfusions to boost his health. As I continue to read the blogs of my uncle as he continues to fight in his personal battle against cancer, it gives me a whole new prospective on life itself, and this has given me the motivation to donate as much as I can in order to make a difference. For those of you who are able to donate, keep in mind that just thirty minutes of your time can save a life. I know it has helped the life of my family thrive, and I look forward to being able to help others as I grow older. Christi Reynolds, Hinds Raymond campus Sophomore, is a writer for the Hindsonian.